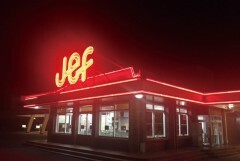 JEF is the one true original fast food chain on Okinawa, with branches at four locations on Okinawa main island only. 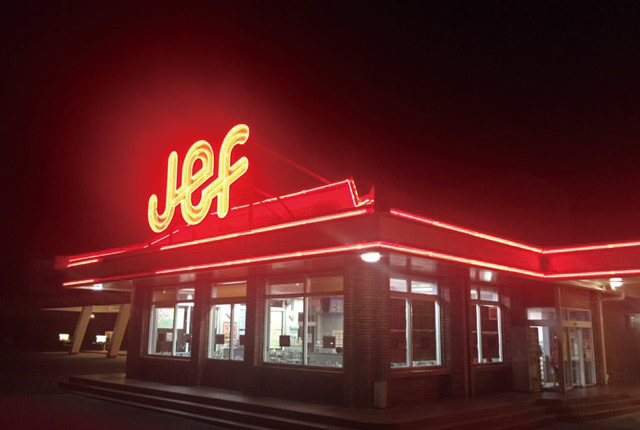 The way food at JEF is served is straight from the American 50’s, in which customer can drive into a parking slot, place an order, get the food delivered and then eat on the spot without ever leaving the car. The real difference is JEF’s original menu. JEF’s iconic Okinawan menu relies heavily on goya vegetable, and includes Goya Burgers, Goya Fries and fresh Goya Juice!! Many people can imagine how bitter they are, but they are guaranteed to be really good for your health! !